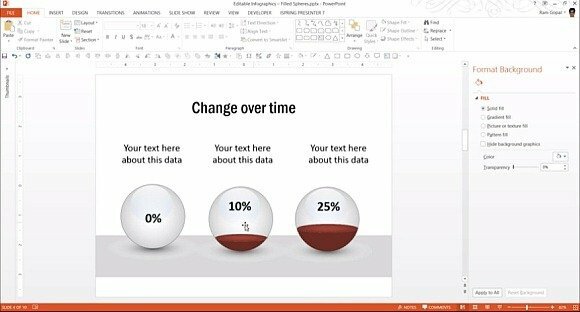 If you want to create infographics and charts in PowerPoint, having the know how to create filled shapes for demonstrating statistics and trends can be handy to have in your arsenal. 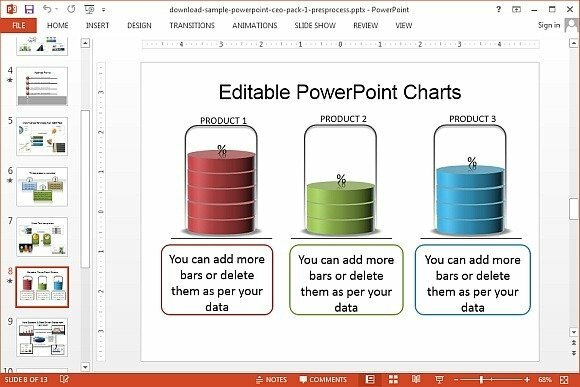 Filled shapes are often used for making charts and to display comparisons and trends. 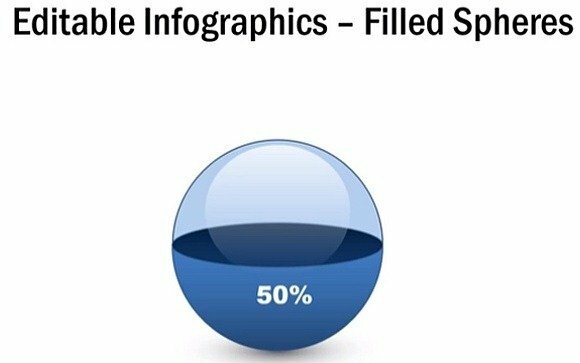 For example, the completion status of a project might be showed using a filled shape or you might use multiple filled shapes to display information in the form of infographics. This video tutorial shows how to create filled shapes with a professional look using basic shapes in PowerPoint. The tutorial not only shows you how to create editable shapes but also provides guidelines regarding how to make your shapes glossy. Other tips in this tutorial show you how to use color gradients for your shapes and tips for tweaking the transparency. 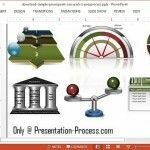 To make your job easier, you can download the PowerPoint CEO Pack which comes laden with slide layouts for various types of presentation topics; including editable filled shapes. 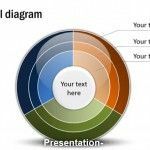 You can edit the given filled shape diagrams for making charts, infographics, business diagrams, etc. 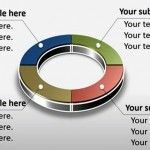 The hundreds of slide layouts in this CEO Pack cover virtually any topic imaginable, including editable diagrams for constructing business and economic models. 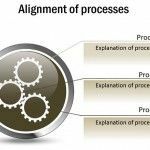 The slides include content which can be used for business, financial, IT, medical and a range of other sectors. 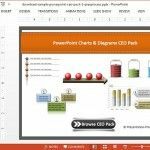 You can also download the All in One Bundle for PowerPoint, which comes with over a thousand professionally designed slides related to a multitude of topics. You can download both the CEO Pack for PowerPoint and the All in One Bundle via the links given below.